Everyone knows that Lamborghini has been a staple in the exotic sports car market through the decades, but, unless you are a true enthusiast, you might not know about the legacy or history of the iconic Lamborghini S models. Beginning with the Miura, then the Islero, Countach, and finally the Urraco, Lamborghini introduced exciting S models to these epochal automobiles. A couple of years ago, the fifth icon to inherit this legacy was introduced: the Aventador. Even more recently, Lamborghini introduced another exciting version of this new legend: the Lamborghini Aventador S Roadster. For 2018, the Aventador S Roadster is an open-top, two-seat sports car with a V12 engine and plenty of power. The best news? It’s available right here in North Miami Beach FL, at Prestige Imports. So, now you know that it’s a model with a lot of history, it’s an open-top model, it’s got the usual two seats of a Lamborghini model… but what about power and performance? Well, that V12 engine we mentioned? More specifically, it’s a 60-degree, multi-point injection, 6.5L V12 engine capable of doling out a massive 730 horsepower alongside 507 pound-feet of torque. It’s outfitted with an electronically-controlled AWD system, has an Independent Shifting Rods gearbox with 7 speeds, and carbon-ceramic ventilated disc brakes. But how does all of this translate into practical performance? Well, the Aventador S Roadster is capable of hitting a top speed of 217 miles per hour. It can hit 62 miles per hour in 3 seconds flat, or for those with a real lead foot, 124 mph in 9 seconds flat. Then, if you need to come to a complete stop from 62 mph, you’ll only need 101.7 feet to do it. This machine is a work of art, but a beast beneath its hood. Yet even still, Lamborghini made sure it wasn’t just a muscle head. It’s packed with outstanding features inside and out that make it an even more enjoyable vehicle to experience, lead foot or not. 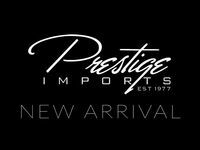 If you’re interested in a 2018 Lamborghini Aventador S Roadster of your own, be sure to get in touch with us here at Prestige Imports.